* Many will debate this and say that these loans have evolved and are as good as regular loans. Guess what? Banks don’t care! For example, I was talking to an agent the other day. Her client offered $100,000 over list with 50% down on a Virginia Bank Owned property. Another offer was for full list, ie $100,000 LOWER but with ALL CASH. The all cash won. But then the buyer persnickety (great word) started meddling with the bank addendum (see older post) . The bank said forget you. Went back to the 50% cash offer, which lowered the offer to $50,000 under full list. Banks want LOW HASSLE DEALS! And believe it or not, I can’t talk about all the things we do, but there are many other ways to win a contract for LESS than the highest offer. But yes, it takes some thinking (wow, an agent that thinks, imagine that?). And generally I don’t like escalation contracts. Why? If you have great terms, you will be outbidding a sucky terms contract. How dumb would you feel if you escalated $10,000 higher because there was a high offer with a home sale contingency? Or if you waive the appraisal and the offer you beat doesn’t. Why beat another offer the seller wouldn’t have taken? You can adjust the addendum to try to protect from this. Make sure you are beating not only the price, but the terms. Please subscribe to this blog and leave a comment, and feel free to leave your experience, even if you disagree. Also I started a new blog that showcases each of my WheelEstateCam.com videos! “I care about staying power” could elicit a wide range of responses! 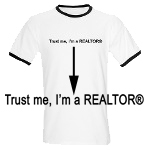 What is your opinion of the REO listing agents that do not present all offers to the bank? Or put the listing as “under contract” to stop the flow of contracts? With the seller being an asset manager (off-site, usually 10 states away), it opens the door for fraud from the lising agent. Ex: LA has 5 contracts, but will only submit only 1 contract from friend X (which is $50K less than highest offer) to asset manager. Friend X will give LA $10K after the deal closes for getting the property at stuch a discount. That is something that needs to be looked into. Many of the bank-owned properties are never really on the “open” market. It is all back-door deals. If what you say is true, yes you need to call the FBI, that would be fraud. But more likely, they might have a system with the banks where the banks don’t want to be flooded with every offer. It makes sense that sellers would take less money for more upfront certainty of the sale closing. Cash offers have great appeal because they remove the chance of a deal falling apart due to financing. Regarding short sales, the waiting time is not very palatable for many buyers. Even gung ho buyers with “staying power” in the beginning become less and less interested in staying on board as the weeks flip by, especially as more (sometimes better) REO inventory comes on the market. I don’t like escalation contracts, either. They assume that the other terms of the contract are unimportant or irrelevant. I think escalations were created because many listing agents receiving multiple offers during the boom failed to give all the buyers a chance at a “highest and best.” Sellers would just pick one offer and get it over with, leaving all the other buyers hanging. Some would have raised their offers, but never got the opportunity. I’m currently a renter and have been told by the property owner that they are going to have to short sell the house to avoid foreclosure. I’d consider buying the house, but I don’t have any faith in the listing agent’s (who is the aunt of the owner and is actually a former owner of the house herself) abilities to manage the deal. I asked a few of the “10 questions” – and her answers weren’t too good. Is there any way for me to find answers to some of the questions without asking the agent? For instance – does the mortgage has PMI? It doesn’t matter to me if they want to mismanage the process and drag it out. It could help gain me some time while I look at other options. Yeah, don’t be silly… go get a buyer’s agent that has dealt with short sales. Short sales are hard enough, and then you are going to try to cut out half of the process? To answer your question, you can pay a title company a couple hundred bucks to run a title search and find out exactly all the outstanding loans an individual has. May I present a contract as all cash offer and get a loan before closing and end up finance the purchase? Brilliant question. You can… KINDA, but you have to be VERY careful. The Virginia NVAR contracts let the buyer change the terms at anytime as long as their is no delay or cost to the seller. And you have to be able to buy with all cash if you put all cash (ie you can’t say all cash and have $5k in the bank and just change the terms before closing). But you have to watch out for the bank addendum. The addendum will override the main contract and oftentimes it will say that you can NOT change your terms on how you buy. So then you would have to buy with all cash and they do a cash out refi days later. Yes banks care if you close with all cash or not. I just wanted to drop in and say that I wish I’d read this posting before wasting time and energy holding out on an REO property. The LA said that they’d consider traditional financing but preferred cash or rehab loans. When we submitted the offer, the LA didn’t even send it to the bank and said that they would only consider rehab loans or cash offers. Since we submitted our offer, they’ve lowered the price about $6,0000 less than what we offered to pay. I can’t believe it, but you’re right. They don’t want the hassle of FHA loans or standard bank loans. I feel like having an FHA loan makes me a pariah to LA’s. They don’t want to deal with us at all. Frank, this post is so good I just emailed you to see if I can re-post it on my blog (with full credit given to you of course). My wife who is also a Realtor has a buyer that has the required funds to close with all cash, but they don’t want to “spend all their money”. So they want to put $200k down on a $350k house and get a mortgage for the difference. Both Lorraine (wifey) and a great direct lender that we highly recommond to all buyers have strongly suggested to close with cash and do a simple cash out refi. How come people don’t get that in essence it is the same thing as putting a huge chunk down and then having to go through all the financing contingencies? These buyers are otherwise smart people. What gives??? We have no contingency addendums now from the banks, where are you selling? You can have a HI but no repairs, no nothing. Mortgage contingency is just a date with a penalty. Buyer has to agree to everything on the riders or take a hike – how can they not have ‘THEIR’ terms with their addendums?